The Modern Metal Gibson® Les Paul® Pre-wired Replacement Set includes a D Activator™ Neck model (standard-spaced), a D Activator™ Bridge model (F-spaced), and a complete wiring harness featuring solderless installation. 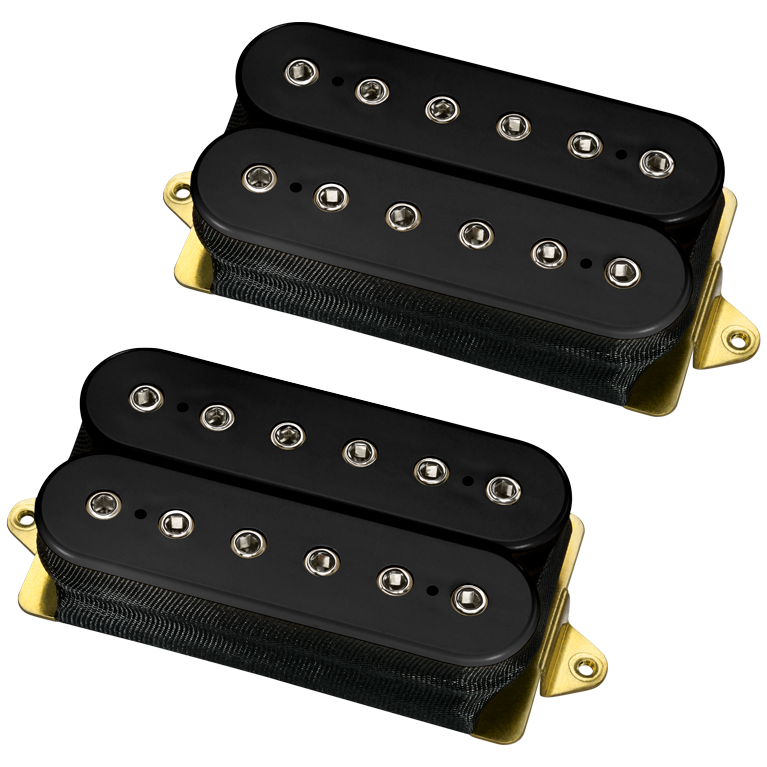 The D Activator™ Neck and Bridge humbuckers capture the best qualities of the most popular active humbuckers while eliminating the disadvantages. By tuning the two coils to specific frequencies, the resonant peaks of the pickups work together to produce a focussed tone with great harmonics. D Activators respond instantly to hard or soft pick attack, and the sound is powerful, clean and open, with brilliant highs and tight lows. And all of this is achieved without the use of batteries. Standard Gibson® Les Paul® & similar guitars with 2 humbuckers and 4 controls. Not for Gibson® SG® or similar guitars.